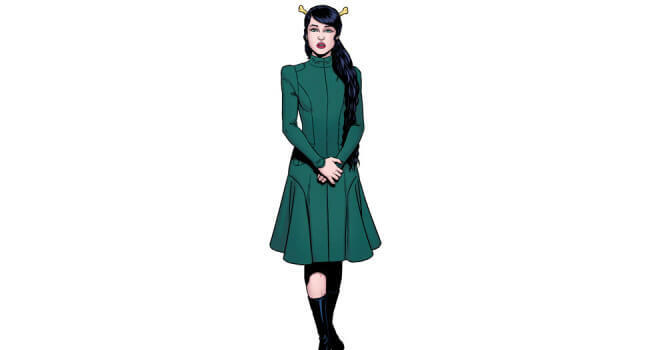 In the Marvel comics, Leah of Hel is the loyal Asgardian handmaiden of Hela, daughter of Loki. Despite Leah’s disdain for the trickster god, he takes a liking to her and is committed to being her BFF. For this costume, you can remove the black lace and replace it with yellow lining for the most authentic look.